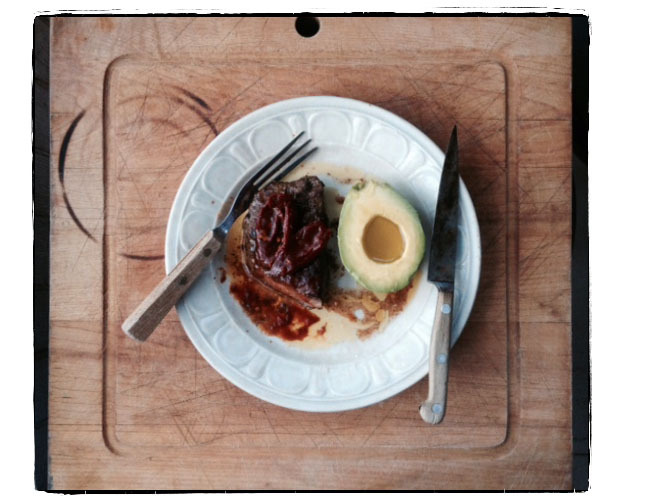 We seared a skirt steak, spooned some canned “chipotle peppers in adobo sauce” on top, then served it with a perfectly ripe avocado. Now we’re talking. The combination of the smoky heat from the chiles with the juicy steak and rich avocado beats waiting on line at Chipotle any day! Buen apetito.